The Stars Know All . . .
Astrology, Astronomy, Agronomy, Madame Tajana knows all! And all for the princely sum of two shillings! 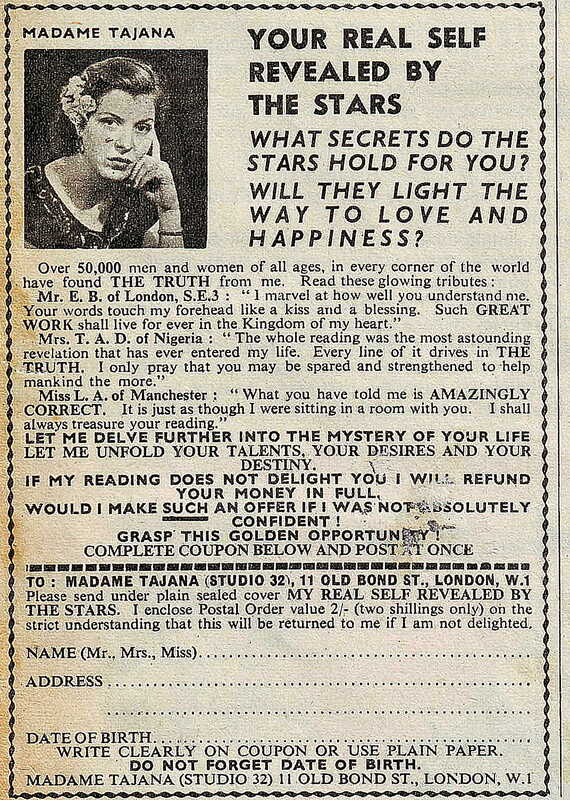 I can’t promise that your two shillings will be returned, even on plain paper, but you will be amazed all the same! This entry was posted in Comic Interludes. Bookmark the permalink.